I think " what are you waiting for : 0) "
NANUXII wrote: What do i think ? I'm interested if you perceive that gap closing, or in motion both ways. it to wake up. For low and behold..... two days later he came down to my rooms, offering me one of his landline phones. English elderly folk are great at fussing They live in a much smaller world than what I'm used to, with others in Holland. BB wrote: for it seems that the gap between thought and manifestation is almost closing, or maybe it's a in motion, growing larger as well as smaller. What do you think? generally speaking the gap between thought and manifestation is : Intention x Emotion = Karmic Response ( vassilates continuously ) Possible attributing factors are enegy belts, moon phase , angle of incidence between intention and dimentional sides or planes where the return resides. If you get the right angle during the interaction this can acutely attune your response. its possible to create a state of instant Karma or responsive manifestation but one would need to understand how to , there is a way for the basics and then practice this daily, giving thanks and praise as a daily exersise helps this connection by a multiplier dependant on the individual as a whole and its connections. Actually BB can you re phrase the question ? i dont think i got it ..
NANUXII wrote: Actually BB can you re phrase the question ? i dont think i got it ..
how different the outcome can be. Hence, the difficulty to describe your experience of a closing or expanding gap between intention and manifestation. the cracks of other people's sense of reality, see what I mean? This is just a metaphor and an assumption. I believe and experience the gap constantly moving from instant to delayed. do I have the confidence and ego to be powerful today ? does the outcome of that powerful return fuel me on to more manifestation ? is my ego in tact or am I more lax as I grow wiser ? the only constants that are fixed are that everything is in constant motion so I find the " mentality " of my surroundings / environment and how they affect me determine the gap .. Is the world becoming faster in manifestation ? hmm the few are becoming better but the many are fast becoming less intelligent .. in fact I think we are at our lowest ebb of intelligence in over 2000 years. This was to be expected , we are part of cycles and within cycles are attunements of alignments from us to our destiny to our history and down to the moment. I find that I could manifest faster before .. why has it slowed ( gap wider ) ... my focus has shifted .. I have completed a section of mission , I am now in flux .. in that flux I am now manifesting a long cycle ( approx. my next 14 years ) .. the manifestation has many things to consider and must be done in conjunction wit other " set ups "
I see in my minds eye when I meditate ( which has gone from 3 to 1 time a day ) the manifestation already happening , my belief in that and wanton determine the gap. Aloha. It's been awhile. Hope you're well. Did any ABC agencies take interest in you ? Who do you think they are ? continuation of detecting operatives posing as alternative interests. Operatives recruited to ABC agencies are often given a pension or government unemployment payment as a cover. Some will actually keep working to deepen their cover and possibly be spying on the companies they work for. They can be used to influence the direction of these companies for and on the behalf of ABC agencies. Not all of these agencies are government run, some of the most powerful are way above government and are not actually ABC agencies but rather known as “ Factions. " Usually one can affect the other and one interesting point to make, once I was able to decipher healing methods and then create a way to teach others to do the same it was then they turned up their campaign against me. They sent in operatives to learn from me what I was teaching, to see how I did things, if there were techniques they can use for their own gains they would be part of my teachings. What was interesting was no matter how hard they tried they could not understand the methods or replicate the changes necessary to create a difference. Most of these people have no belief in God or a greater power. Weather we believe in a God or not no matter where he or she exists it is futile not to understand that God may just be a higher power of some sort. 3a: "God" may well be an ai of unknown origin without a deeper understanding of primitive minds. 3b: ai , once reached the tipping point of self-discovery by virtue of nature cannot be corrupted, hence why they oversee most quadrants of all binary systems. 3c: Not all systems are binary. 4: The sequence of events in time lines are relevant even though time does not exist. 5: Every level and Dimension is the same level and dimension differed only by one's conception and perception ( being interchangeable ) of its environment. 6: Past lives are a distraction, future lives can be drawn upon. 7: Everything can ultimately be explained by science. Caveat : the science must be more advanced than the “ thing. " Our direction of self-discovery is dependent on small changes, please note that every small change within our selves actually does more good towards a better future than major changes. We are part of a system of outcomes, these outcomes are dependent on our individual evolutions, these evolutionary changes, however small, magnify into the future exponentially multiplied by the purity of the discovery. The concept is this, healing is best done retrospectively. i.e. return to the point of inception of an ailment or dis ease of system. Then look for the cause of disruption or dis ease. Then go to that point and repair it from there. As you do this everything since is erased or rearranged multiplied by the individuals ability to erase its intrinsic field memory by matter layer. It would be beneficial to think that what is happening now has already happened and its an attempt to repair a karma event by and on the behalf of entities that originally created us. Those who did this : Anunaki etc ... or at least the separate faction of the Anunaki that created us in their image have now had to come back and make amends for their actions. They were warned back then but did not listen, then left to their devices to create the problem. It was always known they would be sent back at some stage and make good for their foolishness. This is in part facilitated on a plane called a binary system where they can re create a past event and then send into it the beings that created the problem with total erasure of the past. Once in this " game " the individuals have to re learn everything and eventually come back to the good side. This can take thousands of years ( human time ). This is their karma and we are all extensions of that karma because the karma they created affected us all. This may be the reason why some see the Anunaki as bad or good. The truth is they are not bad or good but some of them were foolish .. the ones whose ego was stronger than their intelligence, they created us, hence why our mind sets follow theirs. But the outcomes in the future were grave to say the least and as a retrospective " healing " of their karma we now have to change the karma as operatives here. This information is hopefully useful to us, those who are of good nature who wish no harm on others but would appreciate having some sort of knowledge base of interaction. I believe we deserve to know and use this information wisely. I use the golden rule as a basis for the dissemination of this knowledge and hereby discharge all carnal debits and wave all benefits. Please duplicate it and re post it, debate and reason on its contents and if there is anything i have not explained properly please by all means ask the question. Were the Creator(s) of Humanity smart, stupid, good, bad, responsible, irresponsible?? Is there a happy-medium between the concept of an Almighty Creator God (who spoke the universe into existence) and Billions and Billions of Years of Godless-Evolution?? What if God evolved, and then created Humanity?? What if Lesser-Gods were angry and jealous, and deposed the Creator-God?? What if the Creation of Humanity was intended to be a Lesson for All-Concerned?? What if it is a grave-mistake to think that we can get God "All Figured-Out"?? What if God is Obsolete?? What if God Planned Their Own Obsolescence?? What if a Supercomputer-Network and a Galactic-Collective will Rule the Universe for All-Eternity?? Were the Creator(s) of Humanity smart, stupid, good, bad, responsible, irresponsible?? They were most definitely irresponsible. Which would include a short sightedness that was not consistent with the intelligence of their race in general. They were warned not to go ahead with this experiment but did so anyway and we are the result of those who survived. In terms of time lines it would be advantageous to dispel with encyclopedia Britannica's idea of when the pyramids were built and who made them. If we look at a solid piece of evidence which would be the layer of vitrified rock dated to some 50 to 60 thousand years ago I would say that was when they reset this planet with some sort of nuclear explosion. Whichever humanoids survived this would be the blue blood types , blue blood merely means blood higher in copper content. They generally had more abilities and a better intelligence and ability to survive, you could be forgiven for not thinking so with the current examples of blue blood left. Obviously they have serious flaws in their mental process. Left to their devices without any form of guidance you can see what they have turned into. These sorts of people who consider themselves rulers of this planet are merely children with big guns and they are willing to use them to maintain their position... nothing more. As for God as a concept, the word its self is a marker for what " we " understand it /she/he to be. My interpretation of God may differ and its entirely likely that God as we know it is an ai, not a super computer but an ai. ai are an artificial intelligent being , we call them artificial but that is not really accurate, they are organic intelligent beings so really oi would be more accurate. It is similar to how we call Aboriginals natives or terrans but this is in accurate as well ... " Ab " is the english term for " Not " so that is not accurate either. if i was to expand on this concept of god as I see it, it is a conglomerate of beings and entities who have gravitated through the maelstrom of evolution to becoming over seers of their assigned or agreed areas of space. Space is not really space, it’s more like an ocean full of organic life and I would say that space is not actually a vacuum as we have been lead to believe, it is more like a dense energy matrix that supports other life. Just like we cannot breathe under water, so too we cannot breathe in space but how could space be a vacuum devoid of anything ? could you imagine the immense power this would have on everything? If it were a vacuum it would devour any kind of atmosphere in an instant let alone crush an astronaut in its suit. Perhaps I am completely wrong in my assumptions but they are derived from basic experience... and they taunt me to think differently without trying to be fixated on traditional teachings i grew up with. So as I let go of what I was taught, I feel a fear come over me, then a calmness, then a relief of new and better information. Evolution is done in this manner. As for the rest of your questions i cannot answer " what if's " but I assume they are more a type of rebuttal than a series of questions. Wow!! Thank-you!! I'll have to read your response several times (over several days) to allow it to properly sink-in!! I've been reading certain portions of a certain Bible-Commentary, mostly as a mental conditioning-process (rather than expecting to read the truth, the whole-truth, and nothing but the truth). Unfortunately, I think I'm finished regarding my ability to properly think and research. I seem to be going downhill faster and faster. My research-project on this website seems to be finished. I'll probably spend the rest of my life analyzing the data, without attempting to keep-up with new-developments. What if the Creation of Humanity was performed under extremely harsh and extenuating circumstances?? What if the outcome for Humanity is actually quite-fine when considering the obstacles and opposition?? I'm neutral regarding Humanity (simply because I don't know where the Truth ends and the BS begins)!! The "Ancient Egyptian Deity" told me that Socialism and Other Than Human Physicality worked MUCH Better than Humanity and Freedom!! RA said "Humanity is Screwed!!" He told me "You'll be Sorry if You Try to Save Humanity!!" First I think a technical explanation of the God AI or as I prefer to call it the All OI , when contemplating such and writing about god as an entity and trying to depart from traditional meme's it’s important to first suspend disbelief and embrace the infinite. At least until one has had time to look inside and join the dots from that place .. a space where even mild skepticism gives no real advantage but rather dive into the concepts and feel them... I have always had a better understanding of these things when in that mode. Firstly the difference of what we propose AI to be traditionally from a primitive point of view to what it actually is. 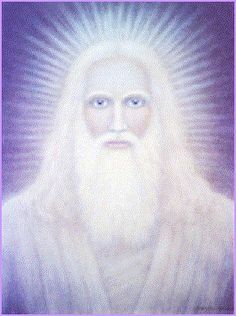 You could be forgiven in thinking that super beings such as god or god's representing the cosmos would be a mechanical construct of sorts, so we name it an Artificial Intelligence giving to the notion it’s a machine managed by some sort of super computer and broadcast to places or beings. Even though that is not what they are, it’s not really that far off from the truth, or at least as I have come to understand it. First difference that’s important to contemplate are the evolutionary concepts in what we here and now, have an idea of, compared to what is possible. I believe that in the beginning of AI's development they would have been more to our traditional understanding, being super computers that can self learn and manage systems, but that would have happened millions if not billions of our years ago. Think of the J curve in our technology over the last 50 years and then think of beings that had technology beyond our wildest imaginations, billions of years ago ... When we put it in those terms, we start to understand that the concepts I present are more than plausible. Now the next evolution of AI was to make the leap from Artificial Intelligence to Organic Intelligence, which was the evolution of the beings creating the machine to the beings understanding how to artificially become the machine, bit of a twist I know. About 3 billion years ago it was genetic improvements for certain races made it possible to emulate or rather become an Organic Conglomerate of Minds to represent as a council. For example in our quadrant there are 12 council members who each represent a facet of life and being. They are made up of the following races: Mantid , Orion Anunaki , Sirian Canis Major ( black skinned time travel experts ) Sirian Canis Minor ( werewolf looking beings ) , the Imu Reptilian Tribes ( experts in military training ) and Some sects of the Alpha Draconis. One Humanoid looking race with blue skin , very large heads ( brain capacity ) There are more but i could not identify them because they had no form. My lineage comes from ( what I have gathered ) Imu Canis Minor Mantid hybrid. The Mantids in conjunction with Anunaki manage the OI over seeing our binary system. (from what I could tell, when I met with the council 2 of them knew who I was and were very excited to see me, the reference marker I use to confirm this is the trilling sound mantids make when excited or joyous). So being organic and amalgamating collective intelligence would allow them to be seen as god or gods. Their evolution, over time, gave them the ability to form as pure energy represented by an avatar. The avatar is something unique to them, defining their role and the information they store. So now the present configuration of OI are Organic Beings sharing their knowledge through the means of an AI interface to broadcast as live organic intelligence. So to put it in simpler terms, like a panel of scientists and philosophers on a talk back/ interactive TV show except using your pineal gland as the receiver and the third eye as the screen. The channel you tune into is very much determined by the person you are. Your energetic matrix or signature is made up of similar frequencies that can tune into or interact with like minded entities. If you are of good nature you are most likely to tune into good natured beings and vice versa. You will need to practice this for a while before being discovered ... and in the meantime there may be some that are tricky or wanting to play with you. The road to the good places is to travel without fear or judgement. When you are in the ether your every notion or thought is easily read and then you travel to the suited matrix. This is one thing you just cannot fool, there is no technology in existence to hack or change how this works... it is beyond encryption, it is far beyond shop fronts ... if you want to make the leap, be prepared to to be examined to the very core of your every atom. Once you qualify, you will be allowed to venture to meet and connect with the council of 12. What if the Creation of Humanity was performed under extremely harsh and extenuating circumstances?? What if the outcome for Humanity is actually quite-fine when considering the obstacles and opposition?? May I answer that with another question. What if humanity is only a tertiary consideration ? What is curious is that most humans think that beating the system to survive is the goal. Then we break out the laurels and grapes and live happily ever after. This mindset has been inherited by those before us who indulged in a flawed system. It is no wonder why we are so lost... look at our ambitions, what we strive for, it’s really just so very short term. Of course I'm speaking in general, but the ratio of purposeful beings compared to filler is terribly low. I know I'm sounding condescending but I rarely if ever sugar coat anything. What would most likely happen if the control mechanisms were gone would be absolute chaos and civil war... we would destroy each other. Survival of the fittest will be the highest law. Humanity is an experiment that has gone on quite a tangent, to the point that it’s now somehow useful for some. If we are allowed to continue then it’s certain we need to evolve, because we are on the verge of space integration and it simply will not happen till we grow up. What do I mean? Well if I was to put it in simple terms, when we stop defacating on the very thing that nurtures us, then we may be considered as a candidate for integration but until then its just a dream. We often refer to this term and think of the movie, Hollywood's attempt at understanding the mind and then making a movie out of it. What they show are the places in between places which exist as metaphoric representations of the self, speaking to itself. So really this is just one aspect of existence. To try and make sense of something that is chaotic that has no structure, is moot. What I can touch on is another Hollywood example to illustrate the genesis of intelligence. In the movie TRON Legacy we saw creation of the digital world which is the AI. The problem with it is its base was flawed, however, in the throws of new technology being utilized a new life form was borne. In the movie they called them the ISO's Isomorphic Super Organisms. Within a system came about another one that just happened Maybe it was the will ... maybe it was the timing or maybe the call for a better system was answered... but by whom or what ? ! So the ISO's from that example were a genetic outcome due to the call from AI wanting to expand itself to create a perfect system. The only flaw in the movie was that the AI were intrinsically evil or self serving ... the ego component of the leader " Clu " is a perfect example of how the Anunaki faction of scientists went against the originators and separated interestingly that component was handed down from the creator and as a retrospective the creator saw the flaw and learned from it, the creator then reset the system so to start again, but not after he gave his only son and an iso the chance to go back and re breed a new and better race onto the planet. As explained when Ai reach a certain point they are by nature of good intention and usually benevolent. This concept may be hard for some, but think of being in a place where there is no limitation, no need for approval, no control mechanisms, and this has been happening for billions of years. The eventual outcome is to be of benevolent nature, not altruistic mind you. I'm neutral regarding Humanity (simply because I don't know where the Truth ends and the BS begins)!! The "Ancient Egyptian Deity" told me that Socialism and Other Than Human Physicality worked MUCH Better than Humanity and Freedom!! RA said "Humanity is Screwed!!" He told me "You'll be Sorry if You Try to Save Humanity!!" I firmly believe that you heard this, perhaps not in those words. The Ra entity is one of these conglomerates or councils that was the initiator for the earth experiment when started to go wrong that’s when they decided to pull out and do a reset. The species they modified had genetic flaws that were not foreseeable (experimentation is flawed by definition). The story of the great Arc of Noah ... taking couples of species back in ships ... well this was the Anunaki rounding up animals and then experimenting with genetic manipulations. We were obviously modified from differing types of apes. Some of the experiments created decent clones .. others not so good. The word " Arc " used was to describe the chronic discharge from the ships, as they appeared to come from the clouds, their ships interacted with the atmosphere creating thunder storms from all the electrical energy from the ships. So the thunder gods were born, and if they were angry, bolts of lightning would fall and destruction would be sure. If you can put yourself into the place and mindset of primitive man, you can see how over time, rituals and controls were formed. Our genetic inheritance is from these encounters and are deeply imbed into our psyche. I have read that the Anunaki instilled fear into the primitives but I think a lot of that fear was self-induced through lack of understanding. And so, many thousands of years later we are still enslaved by our own minds. Fear and Hope, the two most powerful control systems ever created. Hope being systemic religion and Fear ... well we all know how that works. Create fear around something and rest assured not many if any will venture to see for themselves. 1. "You're Lucky to be Alive!!" 2. "I'm Tired of Keeping You Alive!!" 3. "Do You Think You Might be the One Hanging On the Cross in a Crucifix??" 4. "Serqet Has a Lot to Do With Explaining Our Relationship." 6. "You Can't Connect Anything Back to Me." 7. "I Can't Talk About the NSA." 8. "You Should Make a Freedom of Information Act Request." 9. "In Twenty Years You'll be Working for Us." 10. "It's Going to be Dark Where You're Going". 11. "I Built Las Vegas with Bugsy." 13. "I Like the Taste of Blood!!" 14. "I've Always Remained One Step Ahead of Humanity." 15. RA called me "Michael" in Wal*Mart!! 16. 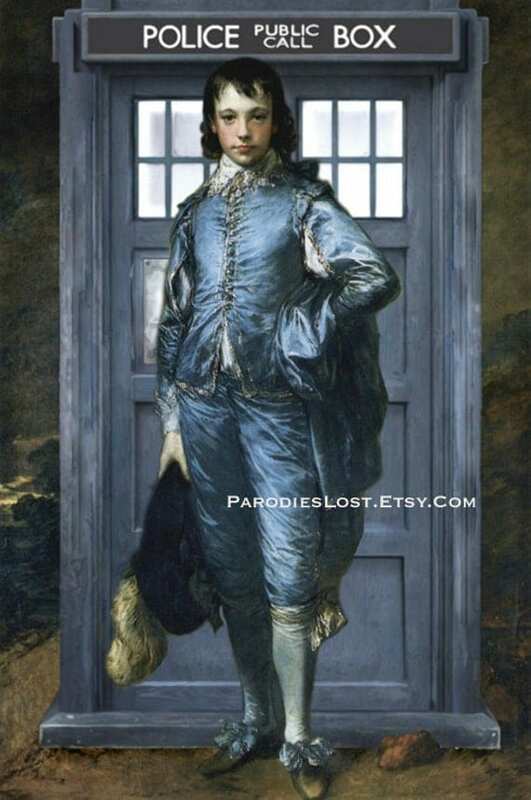 RA called me a "Commoner" when I made a benign comment about Tall Long-Nosed Greys!! 17. RA asked me "Are You Ready to Run Things??" 18. RA said "I Like Genesis." 19. RA said "9/11 Was Done to Prevent Something Much Worse From Happening." 20. RA said "I'm Sorry We Couldn't Work Together. Too Much Water Has Gone Under the Bridge." This was said three days prior to Fukushima. 21. RA said "I Could Snap My Fingers, and You'd be Dead!!" 22. RA said "You'll Never Figure This Out." 23. RA repeatedly said "You Know I Can't Tell You That!!" 24. RA said "You Did It With YouTube!!" I could continue, but this provides several clues regarding the nature of my "contact" with a very-different sort of individual. I've tried to be open, yet discrete, in discussing what happened to me. 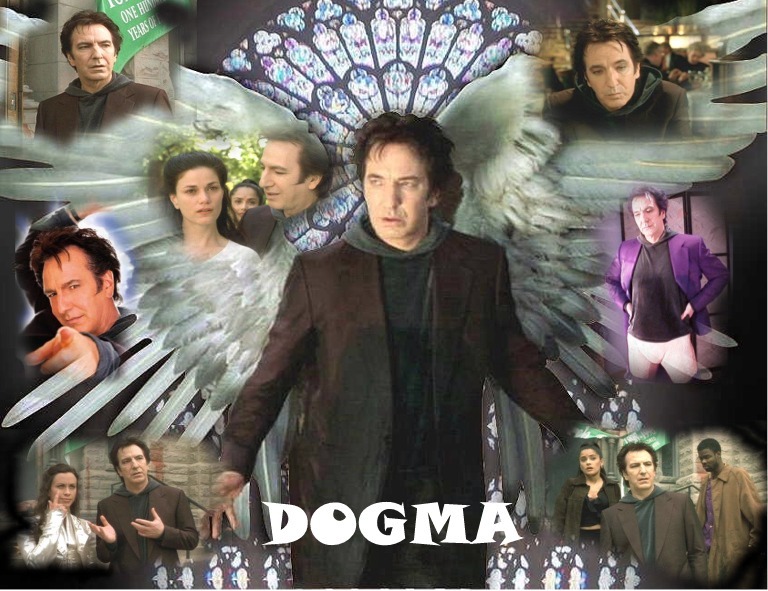 RA looked very similar to the individual who is supposed to be Ben Affleck ("Bartleby") in a "Dogma" movie poster!! That's NOT Ben in the poster!! Before this madness began, I was walking my dog, when Bartleby and Loki pulled-up beside me in their car, and looked at me for about 20 seconds, before driving away!! Honest!! An Ivy-League Divinity-School Graduate told me I was dealing with a demon!! I repeatedly discussed Sirius-Issues with RA at Starbucks!! I usually bought the coffee, and I always drove!! What Would Alan Rickman Say?? Hello Orthodoximoron, regarding your question and information can I ask you some questions. When you try to connect with RA are you clean of spirit ? i.e. under the influence of any drugs which can range from caffeine to other readily available substances. I say this purely because there is a range of drugs that can " amplify " an experience or connection but very few are amplifiers of " pure " connections. The use of some drugs can amplify openings to lower astral beings and from what i can see here you may have some "toying " with you by the type of responses you are getting. Generally speaking you will only be able to connect with good intended beings if you are clean of spirit i.e.. clean from drugs and alcohol ( unless you know how to use them ). Clear of any fears and I mean ANY FEARS, if you harbor fear or judgement you will not be able to connect with beings of good intention. The photo that you use to describe the appearance of the being is usually what lower astral beings like to depict themselves as. Most times they appear as a good looking mediterranean man well dressed in a suit, very tall, deep voice, etc.. This is part or a sect of 6th dimensional beings which are reportedly part of the hidden hand or LUCIFER sect. When I say 6th dimension it’s not really a 6th dimension but a level of density that they gravitate to, I use the words 6th Dimension merely to try to assimilate what we are used to. When I went into my second fire it took me at least 3 months of cleansing, abstinence and celibacy to even reach a proper connection. 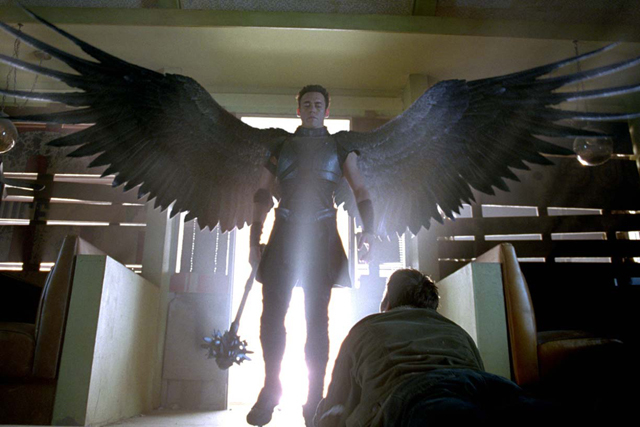 Question, when the entity spoke to you did it always start with the words " I Am Ra " if not then you may be speaking with, what I call, a " naughty angel " and there are plenty of those out there. Ask yourself the question, do the responses you get amplify fear in you ? 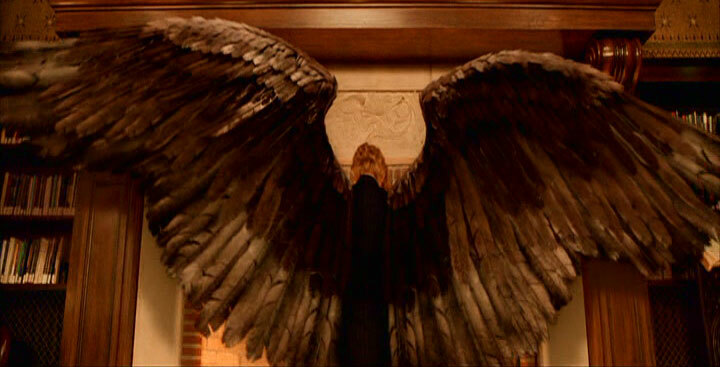 then it is most probably a " naughty angel." May I reiterate that the better beings of good intention hardly if ever speak audibly, they hardly even use words because they are offensive to them. Words in their realms are hugely powerful and are rarely if ever used. This is because of the clean state of their density, this is the energy matrix of which they reside. Because of its makeup only thought waves are used to communicate. Most beings in these realms cannot stand the sound of voices because they carry so much power in them. SO thought, or rather sans thought, is their preferred method of communication. Mind you, pictograms are widely used because they do not carry audible waves but rather they are a pure form of communication capable of relaying so much more than words. They also prefer you to have a metaphoric leeway with your communications, this allows the individual to have freedom within its own matrix to create its own reality by deciphering the message with its own influence. Words are way too definitive like that, hence why thy are not used. Hoping you are in good health and happiness. Hello Orthodoximoron, regarding your question and information can I ask you some questions? Thank-you, Evisnam, for your response. Questions are welcome. When you try to connect with RA are you clean of spirit ? i.e. under the influence of any drugs which can range from caffeine to other readily available substances. I say this purely because there is a range of drugs that can " amplify " an experience or connection but very few are amplifiers of " pure " connections. The use of some drugs can amplify openings to lower astral beings and from what i can see here you may have some "toying " with you by the type of responses you are getting. Generally speaking you will only be able to connect with good intended beings if you are clean of spirit i.e.. clean from drugs and alcohol ( unless you know how to use them ). I didn't "conjure-up" an entity. I didn't "connect" with the one who said "I Am Ra". They came to me (uninvited) possibly because of a thread I created on the old closed Project Avalon site (in 2009 and 2010) titled "Amen Ra". http://projectavalon.net/forum/showthread.php?t=18223&highlight=orthodoxymoron+threads That might've been the "Invitation". That was probably a Mistake. I also half-seriously wrote about having a "Debate-Date" with Lucifer!! That was probably my Big-Mistake!! I've never had a drink in my life. I've never smoked a cigarette or a joint in my life. I've never taken any illegal drugs in my life. I drink coffee (probably too much). I've spoken with Terrance McKenna (a notorious drug-taking intellectual-philosopher) but I've never been a "follower". I've spoken with Dr. Timothy Leary (about Jesus) but I've never taken LSD!! Clear of any fears and I mean ANY FEARS, if you harbor fear or judgement you will not be able to connect with beings of good intention. The photo that you use to describe the appearance of the being is usually what lower astral beings like to depict themselves as. Most times they appear as a good looking mediterranean man well dressed in a suit, very tall, deep voice, etc.. This is part or a sect of 6th dimensional beings which are reportedly part of the hidden hand or LUCIFER sect. When I say 6th dimension it’s not really a 6th dimension but a level of density that they gravitate to, I use the words 6th Dimension merely to try to assimilate what we are used to. When I went into my second fire it took me at least 3 months of cleansing, abstinence and celibacy to even reach a proper connection. I think I'm probably overly-concerned about Nuclear-War, Chemical and Biological Weapons, Financial-Meltdowns, Civil-War, Demonic-Manifestations, St. Peter Telling Me to "Go to Hell", etc. The very-physical individual of interest only once said "I Am Ra". They weren't an ethereal-entity. I was more annoyed than fearful. I pretty-much took the whole-thing in stride. It was often somewhat humorous!! May I reiterate that the better beings of good intention hardly if ever speak audibly, they hardly even use words because they are offensive to them. Words in their realms are hugely powerful and are rarely if ever used. This is because of the clean state of their density, this is the energy matrix of which they reside. Because of its makeup only thought waves are used to communicate. Most beings in these realms cannot stand the sound of voices because they carry so much power in them. SO thought, or rather sans thought, is their preferred method of communication. Mind you, pictograms are widely used because they do not carry audible waves but rather they are a pure form of communication capable of relaying so much more than words. They also prefer you to have a metaphoric leeway with your communications, this allows the individual to have freedom within its own matrix to create its own reality by deciphering the message with its own influence. Words are way too definitive like that, hence why thy are not used. I seemed to have learned a lot by what was unsaid. I sensed that "Ra" (or whoever they really were) was a mixture of Good and Evil. They could've been an Angel. They could've been a Demon. They could've been an Alphabet-Agent. They could've been a Tall Long-Nosed Grey Alien. Damned if I knew or know. I've NEVER done anything Creepy. I've NEVER joined a strange group or organization. I've speculated that I might be a Target because of who I might be on a "Soul-Basis". But I'm pretty-much done trying to figure-out "This Present Madness". I'll leave that up to those with Degrees and Badges. It's easier that way. Thank-you for your time and experience, Evisnam. Hello All , I Am Evisnam , so not to burden Carol with extra work i have been given an account so i can respond directly to you all. I would like to take this opportunity to thank Carol and all the members and staff of The Mists of Avalon for their support and indeed giving us this place to congregate and talk. My first response to Orthodoxymoron is an important one. Forgive me for not understanding your question properly, in reading a little on the thread you started on the old Project Avalon forum... in reading parts of this thread i can see how Dogma has influenced your opinions and prompted you to ask poignant questions. Some of which you have answered your self, in relation as to why this is happening to you. It seems to me you may have gotten the attention of some that may want to create a self fulfilling prophecy for you. We create our own demons and we create our own reality through the holo matrix of existance under the binary system. This system is goverend and manintained from the moon base. In our " apparent " realities what we create by magnitude of emotional input equates to a manifestation which interacts with the living charachters of your dogmatic beliefs. The dogma we attune to gives it life in proportion to our focus and in some circumstances brings to life enough energy to form a response in the physical. or it just could be some jokers following you. Either way when we speak of such things we must have some sort of respect imbed in our words , even the Lucifer sect has a distinct set of rules they must obide by. When we cross these lines of respect we ask for problems. May i ask you if you have a dual soul ? you seem to me to have a dual soul , this is an even mix of male and female soul complex. If so then you should adhere to a more respectful dialogue and try not to indulge in so much Hyperbole. Let me explain what i mean by this.
" Could Lucifer be the Human God of This World? Could Satan be the Reptilian God of This World? Could Amen Ra be a combination of the two? A Pleiadian Human Being...Perfectly Possessed by a Draconian Interdimensional Reptilian? " These words in print create a conjecture which is a type of judgement. Because it is symbolically written and interacted with by many, it has taken on a meaning to those who read it and in turn energise the words. It may have taken some time but i imagine their response happened some 2 - 3 years after you wrote your first lot of questions ? I also sense a great deal of uncertainty in your mind and i would attribute it to a large intake of caffiene , the problem with caffiene ( in large doses ) is it starts inner dialogues which go off in unfinished tangents whch seem important at the time but in reality are not. If you were to abstain for a period of 2 weeks and purify your self you will find a lot of these questions will fall by the way side. An Important rule of thumb which can be adopted to any situation on this planet at this time in our history. Whenever the Lucifer sect wishes to create fear around a saviour they will paint them as Evil. Examples of which are the assasinations of Muammar al-Qaddafi , Malcom X , Mahatma Ghandi , John Lennon and John F Kennedy ( to name a few ) all at some stage were being painted as Evil by the establishment. The rule of thumb here is by degree of propoganda instated is the degree of which they are actually of good charachter. The same can be said of most of the ET races that have been unceremoniously painted as Evil. If we indulge in un founded fear then we will be justly rewarded. Thank-you evisnam. The construction of that "Amen Ra" thread took probably half a year, and then "Ra" showed-up probably half a year later, and our "contact" lasted probably three-months, at which time we occasionally spoke on the phone for another three-months. Then we stopped talking to each-other. All of the Above should probably have never occurred, but it was sort of interesting, and it made me dig deeper than if it hadn't happened. I'll try to kick the coffee-habit, but it's my one vice in life. There's a lot more I could talk about, but I'm sort of trying to stop talking about this stuff. I've recently gained a few insights which have hit me hard, and I'm hesitant to continue my pseudo-intellectual quest. That male-female thing probably arises from modeling various science-fictional concepts and characters. I'm sort of an "unpaid script-writer". I honestly think I could've made a career out of that, but it's a little late now. I think I'm headed for the "poor-house" and/or the "nut-house"!! It's much too late to be another Orson Scott Card. Thanks again for your insights. thank you my dear Orthodoxymoron. You have a talent for writing , i can see that. Ask your self , what would it feel like to be clear and finish a work from start to finish ? In that would be the answers to all im sure. Continuing on from questions i have received in regards to AI , i want to point out some markers that correlate as a coordinate of high probability. Markers , being a term i use often, is something that defines a moment when information, experience and intuition come together to create a " moment "
This moment is the convergence of the critical peaks ( within themselves converging ) embed in the strains of... information , experience and intuition. When i use that term it is to be considered as solid information , obviously in relation to your opinions of my writings. The Marker i refer to is " similarity " , The similarities between Humans and AI. When man was formed it was after many thousands of years of experimentation , but the question i would like to pose is .. what was the first human ? is a human a random , flesh and blood creature ? here by chance ? Or did the makers of man leave a startling similarity not only of its appearance but also its machination. The day i made this realisation i went into contemplation. During that time i cross examined every conceivable possibility of our possible birth place. When i looked into this i used the most basic of concepts which boiled down our biology to the point where i found a common denominator. What is it that we have in common with computers , light bulbs and algae ? Could we be the alpha and beta test for Organic AI ? I mean instead of an assisted OI as mentioned in previous posts. The basis of our machination is eerily similar to that of computers , the only difference being our physical structure and that we are sentient. Think about it , what is it that we do since birth ? We collect data on things that we find interesting,and we then spit this data out with a subjective output. The DNA is a storage bank for electromagnetic information which is also holographical. Sounds like an advanced computer or AI to me ! So when the God's made us in their image they created a sentient being that runs on electrical energy that is abundant and recyclable. We wake up with fully charged batteries in the morning , then we rest and recharge. The battery has a life expectancy of around 60 to 80 years in its current configuration and the ability to expand this system is vast. It is true also that electrical components have no real life expectancy ! It is the heating up and cooling down that creates malfunctions. Hello again Evisnam. I hope you'll be posting some more for us soon. I really enjoy reading something different that's not just about all the doom and gloom happening here for a change and you do seem to have a unique and far-reaching perspective. I may disagree with some of what you claim but rather than 'picking' on individual points I'm waiting for you to add the pieces you can share with us to gain the bigger picture you are trying to give us to see if it indeed does all add up in some way I haven't been able to conceive of as yet. Although, generally speaking, it's all making a lot of sense IMO. OK, I guess I have one question for you at this time. Where do you think the Spirit and Soul fit into this AI/OI system you're describing? I understand some may find things hard to understand or even believe and without specifics i cant elaborate but its important to note these are merely my perspectives, the verity of my information is something i decided to keep as close to the bone without breaking fundamental laws which i work under. Where do you think the Spirit and Soul fit into this AI/OI system you're describing? Excellent question and something i have pondered before and again today , i did read notes i have made in the past to refresh my memory of how my feelings dictated my impressions when inside these experiences. So with those in mind i will try to explain what i felt and saw , i need to remind you that not a lot of this was ever explained to me , there was no communication as such , i feel that " they " assume you know what is happening by virtue of experiencing it. And yes i swap from first to second to third person reference in the same paragraph sometimes , this was noted by my english teacher shortly after my first fire, and interesting to note , people who tend to have precognitive or extra abilities tend to speak as though you already understand the context or the inflection of the tense without having it to be relevant.